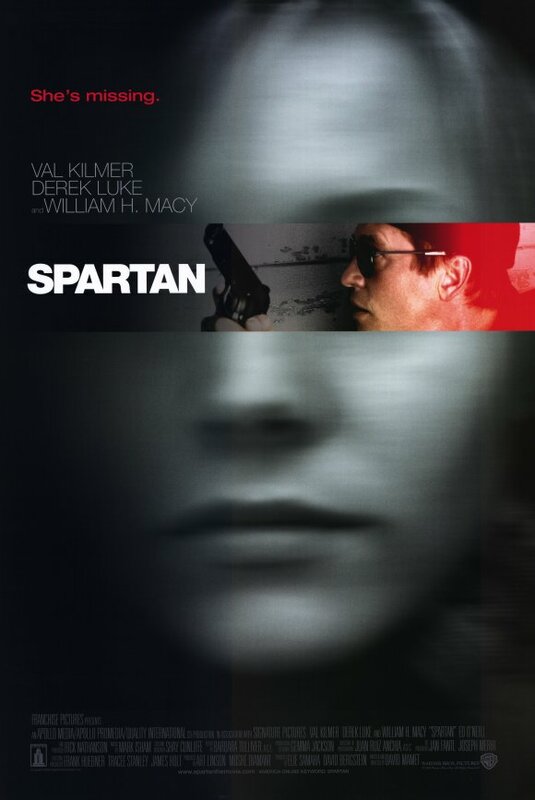 David Mamet writes and directs Spartan, a neo noir from 2004. I have not seen this movie since it came out on DVD 11 years ago. I decided to revisit it after watching Mamet’s Homicide(which I reviewed earlier on this site and loved!) This is not your typical noir story. The story revolves around Scott, a military man played by Val Kilmer. He is a top-notch soldier with a high level skill set. The story starts with the Presidents daughter played by Kristen Bell, being kidnapped. The trail soon leads to a white slavery ring, taking girls from America to the middle east. Scott and the team are hot on the trail when the story breaks of the first daughter being found dead alongside her college professor in a boating accident. Getting to this point has a lot of classic undercover and spy plot lines and is entertaining. The really good noir plot lines start after Scott gets a visit from a fellow soldier played by Derek Luke. He feels that the President’s daughter isn’t really dead. This theory gets Scott thinking and the two start looking back at some of the clues. When his partner is shoot dead by a sniper the plot really thickens and gets interesting. We have a lot of great appearances in this film, like Mamet regular William H. Macy as well as Ed O’Neill and Clark Gregg. Tia Texada is another stand out as a female soldier. Mamet does it again with this mix of noir and international intrigue. It is well written and filmed by one of the best. Though this may not be Mamet’s best work it is certainly worth a look. I can’t help seeing the similarities in plot with mega hit Taken that came out 4 years later. The tone and pacing of the two films are very different, but would make an interesting double feature to watch on a lazy afternoon. Favorite Tidbit: Alexandra Kerry makes a small appearance as a bartender in this film. Her father John Kerry was running for President at the time this film was released. An interesting parallel to the film about a President running for re-election and his daughter. Thanks for that one it is a great film I have to revisit this one. nice review. I must give this one another look. I remember enjoying it but at the time I didn’t think of it as a neonoir. Perhaps I’ll change my mind the second time around. Thanks for the very eloquent writeup!